African Dance and Drum classes taught by Tara Murphy. Often with live music! 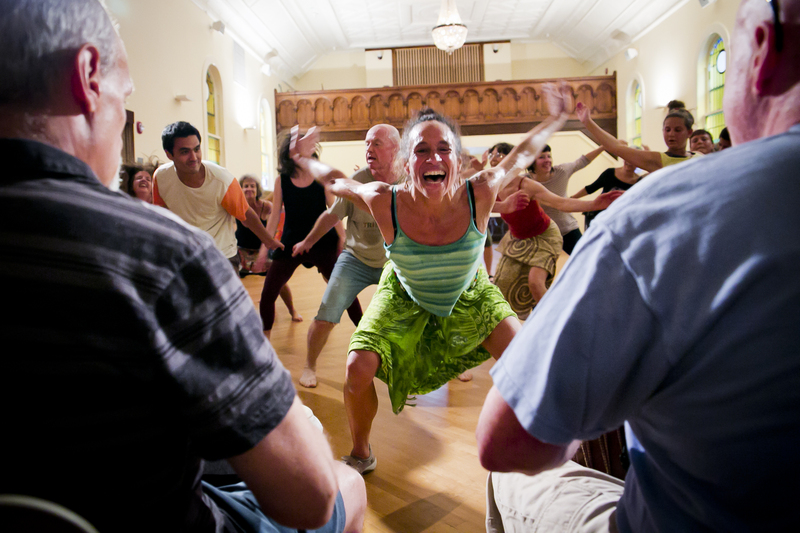 Capoeira for Kids and Adults taught by André Lima at Wellfleet Preservation Hall. Check Preservation Hall website for details. Inspired by ongoing work with Fleet Moves Dance Festival, this class is led by Becky Burrill (dancer-choreographer, developmental-creative arts educator, writer, visual artist). Fleet Movement Explorations is an experimental dance class in which we explore, among other things, developmental movement patterns while sensing ourselves in space, weight, time, and the three dimensions. This is extended to exploring the articulation of movement initiations and refinement of body alignments. We play with evoking movement though qualities of feeling, shape, force, idea, word and more. From this basis, we work out interactive improvisational skits. The class is basically informal, challenging, and fun, and a good movement workout. It plays spontaneously with forces, shapes, images, and ideas rather than specific dance technique. At times we will have guest teachers. All are welcome. Email Rebecca Burrill for dates and times. Regular classes at Wellfleet Preservation Hall and Heart Core Fitness Studio. Check their websites for more information. Regular Yoga, Acupuncture, and Massage offerings. Open 9am-dusk, 7 days a week. Helmet required (safety first! ), and skateboarders only. Check with Wellfleet Parks and Recreation for more information. The Wellfleet Harbor Square Dance happens every Wednesday in July and August at the Wellfleet Harbor. Check with Wellfleet Parks and Recreation for more information. A must for families. Wellfleet hosts a number of great surf breaks for beginners and advanced surfers. Check with Sick Day Surf Shop for information on lessons, gear, and tides. Regular classes at Wellfleet Preservation Hall and Quiet Mind Studio. Check their websites for more information. Regular classes offered at Wellfleet Preservation Hall. Check the website for more information.